Scrunchie? No! You don’t use them to tie a ponytail anymore. With the combination of a side braid and some gel on, the pony tail is tied with a few strips of hair and rolled onto the ponytail. This is a braided ponytail that suits evening dresses. 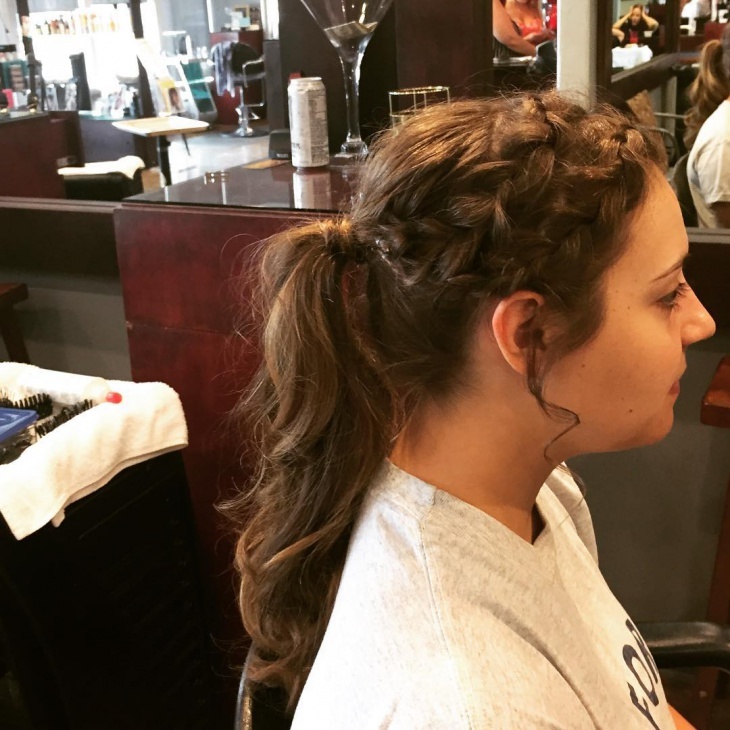 A portion of the hair from the side of the hair is taken and braided and blended into a ponytail. The hair is parted in three portions with the middle portion of the crown area forming a puff-like style. For hair that has long bangs in the front, you can try the side lace braid ponytail and comb the rest of the hair into a ponytail. The braid that comes from the side also extends till the end of the ponytail. Try this Emma Stone styled braid is loose and is tied into a knot with a simple rubber band at the end. 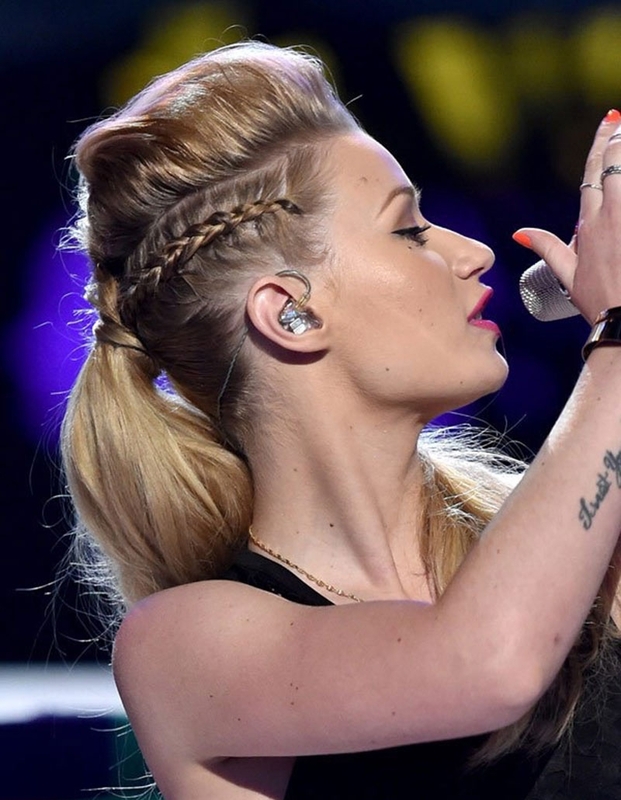 The braids are only created at the bottom of the hair, while the top of the hair is made to look casual and unkempt. 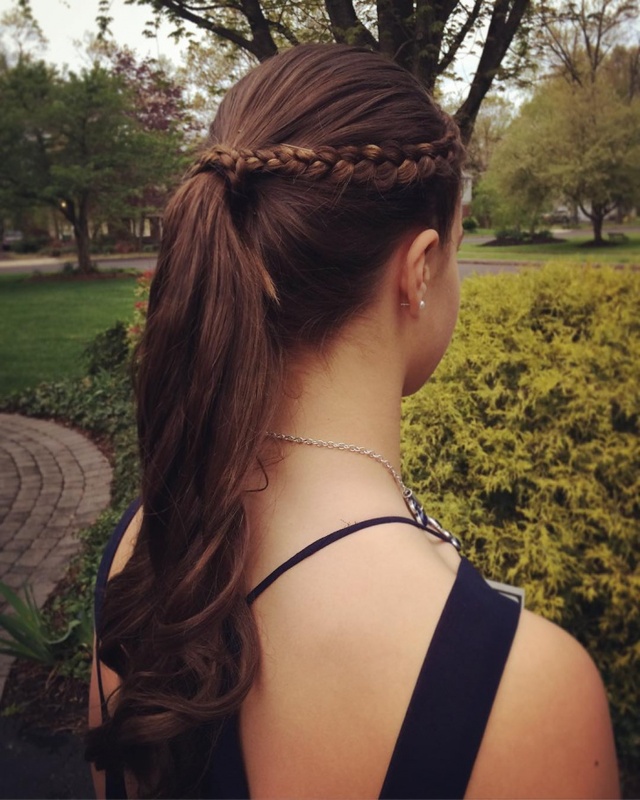 A portion of the hair in front of the forehead is taken into braids and blended into a ponytail. 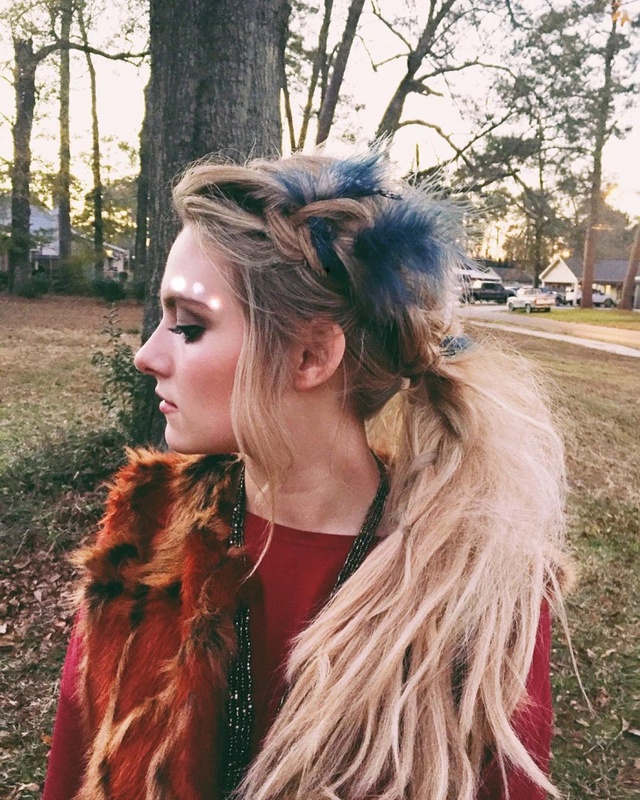 Women with hair colored in bright colors too can try this braided style. 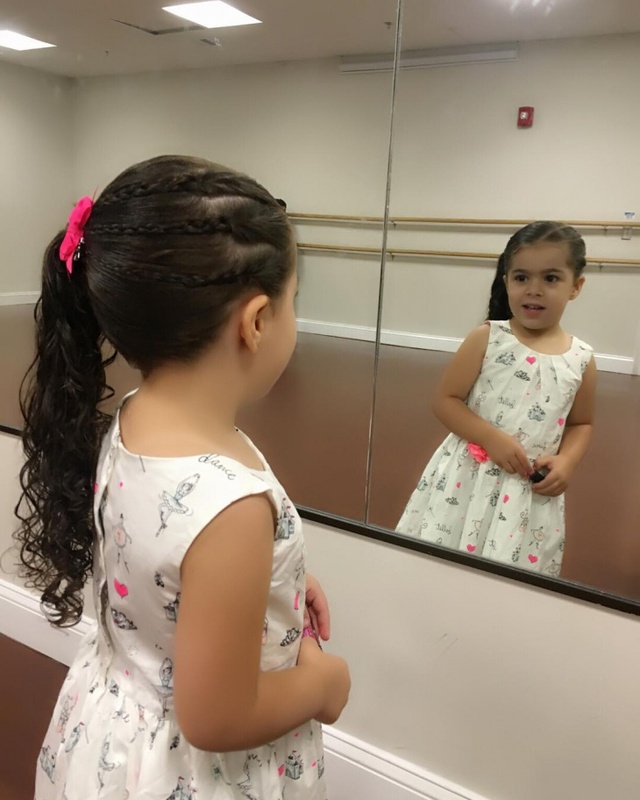 Young girls and toddlers with long hair can try this braided hairstyle. It starts from one end and extends to the other end. These are three thin braids that are tied into a side ponytail. This is the French ponytail done with braids on the side of the hair. The hair is blonde and colored in dark blue color strands. This hairstyle looks like the punk meets some elegance losing the sight of Mohawk. Take three stands of braids from the crown area of the head and tie it into a high pony. Leave some curls at the edge of the ponytail. Young girls who love to dress in bright colors can try this hairstyle. This is an elegant braid that starts from the top of the side of the head and extends into a ponytail knot. It looks great on young girls and women who have neatly maintained straight hair. 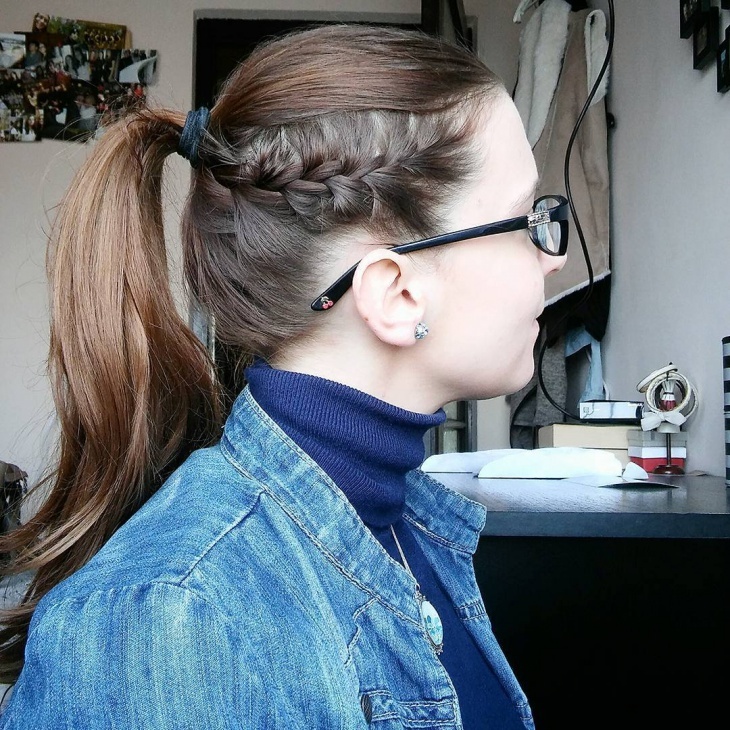 These kinds of braids are not suitable for frizzy or curly hair. If you are looking for short hairstyles, you can forget the braids and look at the styling techniques. 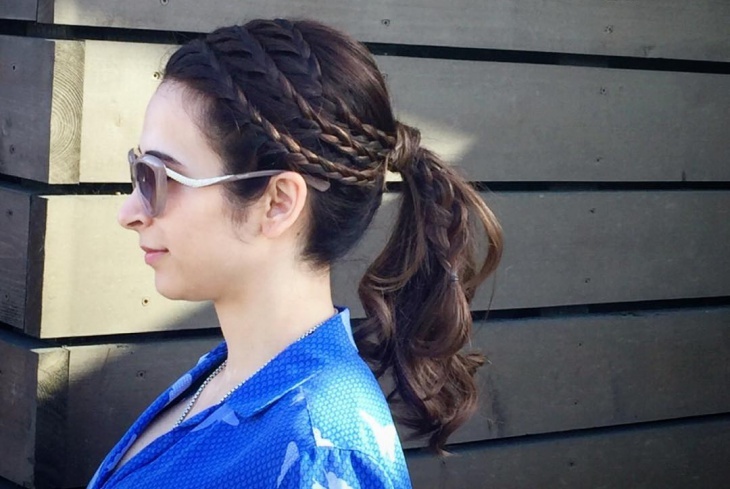 To be able to wear a braid, the length of the hair must at least reach the shoulders. You can decorate these braids with the choicest hair accessories.